Marie Schmolka was born in Prague when it was still the part of the Habsburg empire in on 23 June 1893. The youngest child of Hynek and Julie Eisner, who ran a wholesale textile store, she grew up with three older sisters in the heart of the Prague old town, in a small, crooked house in a tucked away street behind the Old Town Square. Her sisters married and left home, while Marie remained living with her mother. She studied at a Higher Girls’ High school at Vodičkova street where one of the teachers was the well known-writer Gabriela Preissová. Apparently, Marie would have liked to study, but she did not, perhaps for lack of funds (the family took in lodgers). However, in 1916, Marie attended on classes at the Charles University. It seems that the Eisners were assimilationists and spoke Czech at home, while fluent in German: among close friends were German speaking intellectuals like Felix Weltsch from Kafka’s circle. Moreover, Marie spoke good English and French. Religiously, the family was rather lukewarm. As a single woman, Schmolka became quite successful: she worked for a bank and eventually became its deputy manager. Her conduct was never very feminine: “I can still hear my mother who used to say: the youngest Eisner child is as active as a man. And the characteristic “like a man” remained with her all her life”, wrote the lifelong friend Weltsch. After her mother died, at 30 years of age, Marie married the much older Leopold Schmolka, a noted Prague lawyer and her distant relative; he was widowed and had three already grown up children. It was a very happy marriage, albeit brief. The Schmolka children loved Marie, and their children remember her to this day as beloved grandmother. Leopold provided material comfort, and Marie enjoyed taking her Buick, a present by Leopold, for a spin. After less than five years of marriage, Leopold died. In 1933, the refugee relief effort changed greatly after the Nazi takeover in Germany. Many German communists and social democrats sought refuge in neighboring Czechoslovakia. While the social and political reality towards refugees in Czechoslovakia, hit hard by the economic crisis, was not as rosy as some histories would like us to believe, Czechoslovakia did offer asylum to many thousands of political refugees. Schmolka got to know hundreds of individual fates, organized visas, negotiated with police for the right of domicile, set up housing, financial support, and negotiated with employers to supply the refugees with jobs. Schmolka’s experience in the WIZO relief led her to become the president of the National Coordinating Committee for Refugees in Czechoslovakia, where her colleagues included Milena Jesenská and Max Brod. Her work was greatly aided by her lifelong engagement as social democrat, together with her habitus and networks opened doors to top-level politics and police stations alike. Quiet, warm, and with immense organizational talent, Schmolka later became the representative of Joint Distribution Committee and HICEM, the transnational Jewish aid organizations; the latter was a merger of three Jewish relief organizations, and its name was an acronym of their names. Schmolka was the sole Czechoslovak representative on the League of Nations Commission for Refugees, representing the country during the Évian conference in July 1938. By then, her area of influence surpassed Czechoslovakia: When in April 1938, after the Anschluss of Austria, the Burgenland Jews were expelled, a group of some seventy people became stranded in no man’s land between Czechoslovakia, Hungary, and German-annexed Austria. Schmolka travelled to the site, where the expellees were kept on a boat on the Danube, spent there couple of days, and drafted a plan how to get them refuge. Similarly, when Nazis forcibly deported 17,000 Jews with Polish citizenship from Germany in October 1938 over the border to Zbaszyn and Bytom, Schmolka was part of the Jewish aid organizations’ effort to help. At this point, the situation in Czechoslovakia took a dramatic turn for worse. In September 1938, the Munich agreement, signed by Britain and France with Germany, forced the Czechoslovakia (their ally) to surrender its borderlands, the Sudetenland, where many German refugees had settled in. The relief organizations were unable to cope with the influx of over 100,000 refugees, both political opponents of Nazism and Czech Jews. Schmolka visited the areas where refugees were concentrated, collected evidence to mobilize public opinion, and wrote appeals to foreign ambassadors in Prague and to Jewish agencies abroad. However, no free country was willing to help the Jewish refugees: Great Britain would take children, as long as these would come unaccompanied. Schmolka’s endeavors were met by humanitarian volunteers from Britain, foremost Doreen Warriner, a UCL lecturer in economics who had well known left leaning sympathies and between 1938 and 1952, was monitored by the MI5. Warriner was the representative of the British Committee for Refugees from Czechoslovakia, a voluntary aid organization set up in response to the Munich agreement to support those refugees in immediate danger due to their political allegiance. Overwhelmed with work in helping hundreds of families of political refugees, Warriner and Schmolka tasked Martin Blake and his friend, a young British stockbroker named Nicholas Winton, with a scheme Warriner developed: the Kindertransports. The idea was that unaccompanied children would be seen as less objectionable than the grown ups. Schmolka and her team provided majority of the lists of endangered children, including the offspring of the German and Austrian refugees, children stranded in no man’s land. In a race against time – Schmolka was in no doubt that Germany would occupy Czechoslovakia next – the women rescue workers tried to get as many people abroad as possible. Winton remained in Prague for one month, and back in Britain, continued working for the cause. As it became clearer that the occupation was drawing nearer, focus of the Kindertransports shifted from children of the political opponents to children of Czechoslovak Jews. 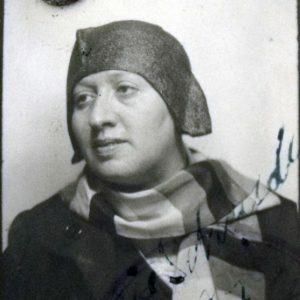 On 15 March, 1939, Germany occupied the Western part of Czechoslovakia, and annexed it as “Protectorate Bohemia and Moravia.” Marie Schmolka and her co-workers from the Committee for Refugees were among the first persons arrested. Schmolka was kept for two months in the Pankrác prison, while the Gestapo subjected her, a diabetic, to 6 to 8 hour interrogations. Schmolka was released only in May 1939, thanks to ongoing protests of the Protectorate ministers, and her old friend from Czech women’s movement, the politician Františka Plamínková, later executed by the Nazis. In August, Adolf Eichmann, the head of the Central Office for Jewish Emigration, sent Schmolka, together with Emil Kafka from the Jewish Community, to Paris and London to push for a speedier Jewish emigration; overtaken here by the outbreak of the WWII, they moved to Britain. Kafka, whose children had left for Britain, was forced to keep his wife behind as a ransom. Schmolka’s time in London was hard. “We live here like funambulists,” she wrote to her nephew to San Francisco. Some of the people whom she had helped to emigrate to Britain didn’t want to give her place in the refugee organization; they did not want to share the space in the refugee organization, fearing to lose their new status and jobs. Schmolka eventually continued in her work; her little office in the “Bloomsbury House”, became the meeting place for the Czechoslovak diaspora, Zionist and Quaker social workers. In the last six months of her life, Schmolka moved in with her old acquaintance, the eminent suffragist and pacifist Mary Sheepshanks in Parliament Hill Mansions in Gospel Oak, where their neighbors would write racist messages on the door, protesting Sheepshanks’ help for the refugees. On March 27, 1940, Marie Schmolka drew here her last breath: she worked herself to a heart attack at age 46, and did not seek medical attention. Her funeral at Golders’ Green was the Who’s Who of Czechoslovak emigration and Zionist organizations. Jan Masaryk, the Czechoslovak foreign minister, spoke. The Czechoslovak exile WIZO group, headed by Nelly Engel, changed their name to “The Marie Schmolka Society” and in 1944, published a memorial booklet. Schmolka does not even have a grave: the records state that her ashes were “taken away by the funeral director.” The Golders Green cemetery used to have a hydrangea memorial shrub in her name, but no longer paid for, it is long gone.